It's becoming easier to find hair care products for naturally curly girls. It wasn't all that long ago products for curlies were almost impossible to find. Nowadays, you can find your favorite curl care products right at your local drugstore. Finding products that you love and are also in a reasonable price point can be tough, so we've compiled a list of our favorite (and low cost) products. Aussie's Deep Conditioning Treatment: You can buy this gem at any local box store, drugstore or on Amazon. It's cheap and very effective. In three minutes, this moisturizing mask will replenish moisture to dry curls. It's loaded with awesome ingredients like Australian Aloe, Jojoba and Sea Kelp, all of which will help your curls retain their bounce and shine. 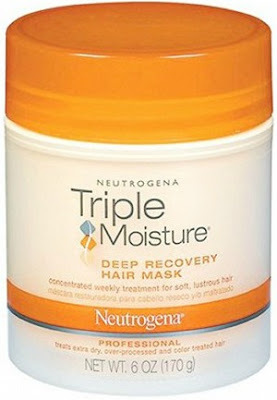 Neutrogena Triple Moisture Professional Deep Recovery Hair Mask: Many of us recognize and use Neutrogena's skincare products, but the company also produces great curl care products. This ultra rich mask is great for weekly deep conditioning treatments, and packs a punch with its three moisturizing ingredients that work in tandem to replenish curls. 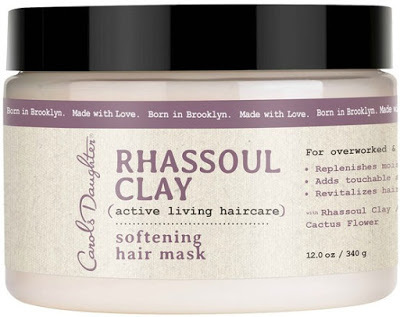 Carol's Daughter Softening Hair Mask: The Carol's Daughter brand is a cult favorite amongst many curlies and this product delivers. You can pick it up at your local store for under $15, which makes it a steal. With its blend of Moroccan Rhassoul Clay, Aloe Juice and Cactus Flower, this mask absorbs excess oils. This leaves your curls refreshed and easy to style. Do you have any favorite hair masks? If so, where do you find them? Make sure you share in the comments and for more awesome masks you can buy in your local drug store, click here.